Create beautiful personalized note cards that look professional with this Microsoft Word template. I am so lucky to have an amazing graphic designer as my husband. He has never purchased a greeting card. Instead, every Valentine’s Day, birthday, anniversary, Mother’s Day, and sometimes “just because” he makes me a personalized handmade card with a sweet handwritten message inside. I treasure these. A pre-printed card from Hallmark just wouldn’t be the same. 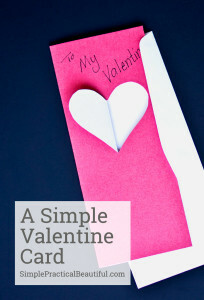 For today’s post, I convinced him to help me show you how to make personalized note cards to give to your special someone. He did all the hard graphic design work by creating a template. He even made it in Microsoft Word so that anyone can use it. All you have to do is add one or more photos that you love and print it out. Actually, you can just use the photos he put in the template, if you’d like, but think of all those great photos you have on your phone! So many possibilities. 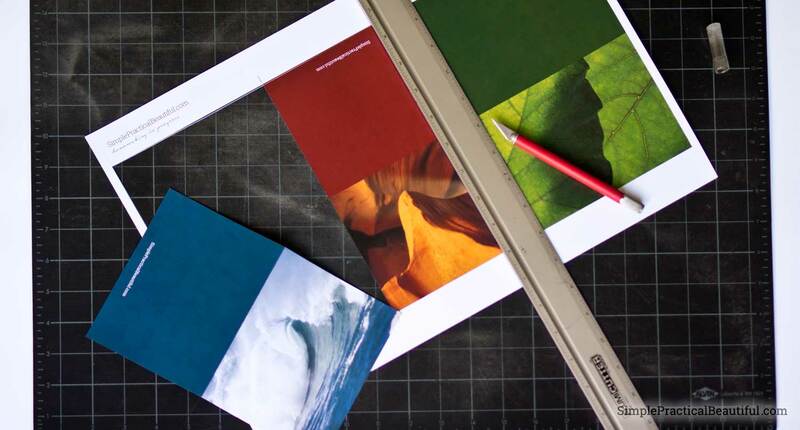 He recommends you have your note cards printed somewhere with a high-quality printer, like Office Depot or Staples, to get a professional look. The paper needs to be 11X17 inches and a heavier weight, like cardstock. 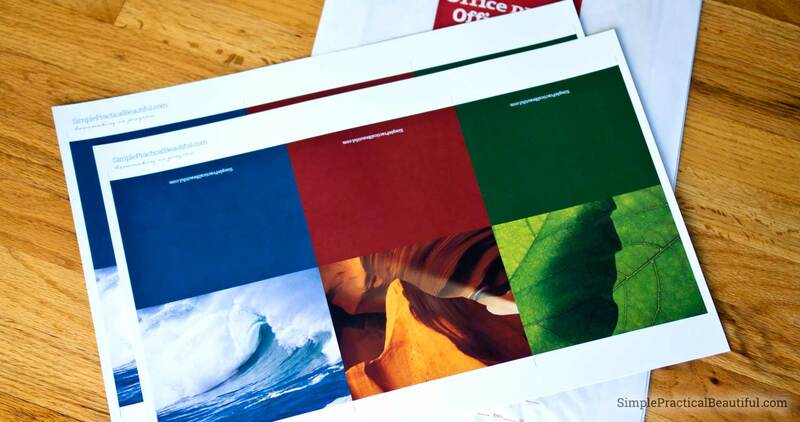 Printing cost us a whopping $1.31 at Office Depot, so it’s well worth the cost. Click here to download the Microsoft Word template. Then follow the directions below to create your own personalized note cards. Please note, we have Microsoft Word 2011, so the process might be slightly different if you have a different version. Also, there are affiliated links in this post, you can read my full disclosure here. 1. Download the note card template and open in Microsoft Word. 2. Under the “View” menu, make sure that the template opened in “Publishing Layout”. If not you can click on “Publishing Layout” to change it. 3. To change a photo, right-click (PC) or Control-click (Mac) on one of the photos and select “Change Picture”. 4. 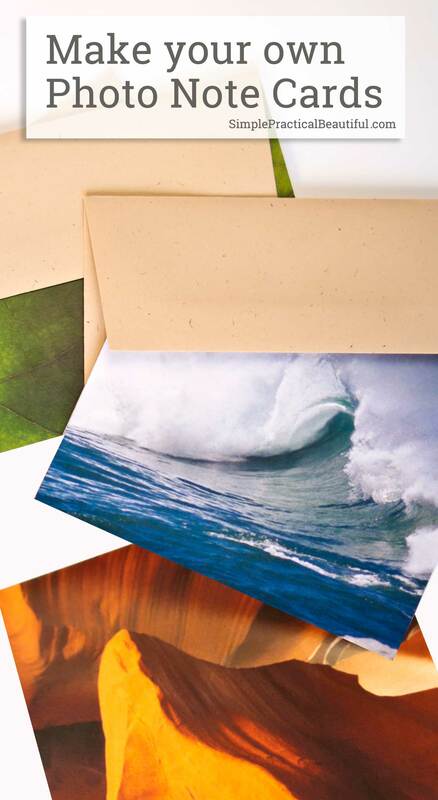 Use the “Choose a Picture” window that pops up to find your own photo for the note card. 5. The picture will probably not come in at the right size. Grab one of those dots along the edge of the picture with your mouse and make the photo bigger or smaller. If you hold “shift” down while you drag things around, the photo will stay in the right proportions and not stretch out funny. The photo should easily snap to the guidelines (blue lines) on the template, but you can make it any size you’d like. Whatever you have inside those blue lines is what will end up on the card. 6. Double click on image and pick ‘Crop” from the “Format Picture” panel at the top. 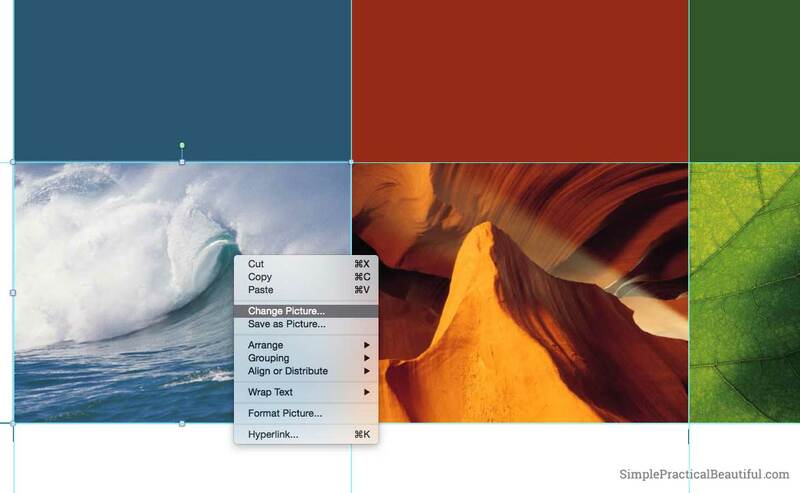 Drag the dark corners until it fits the blue guidelines. Then click “crop”. 7. 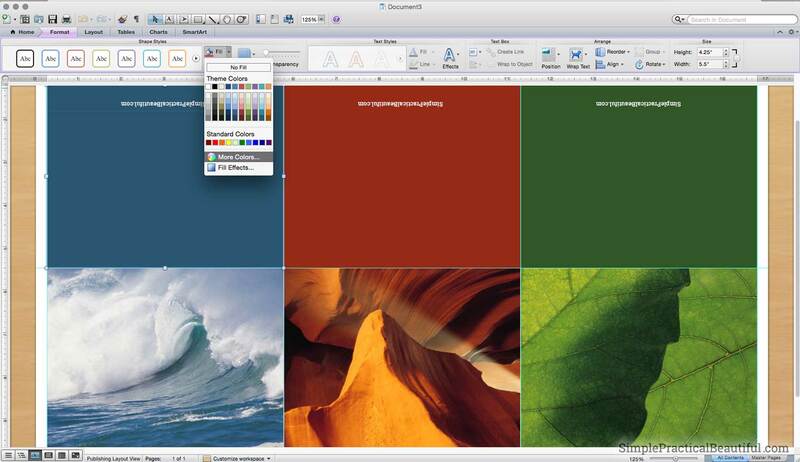 Above each photo is a block of color that matches the photo. This will be the back of the note card. Of course, if you change the photo, you’ll probably want to change that color to match. Double click on the block of color and select fill at the top of the screen. You can pick one of the “Theme Colors” shown. Or, if you want it to match your photo perfectly, select “More Colors”. A color wheel will open. Click on the little eye-dropper icon and then click on a color in your photo. That color from the photo will show up in a little box below the color wheel. Click “OK” and the block of color will change to your custom color. 8. Repeat these steps until you have replaced all the photos and colors that you want. Also, you can change the type on the back of the note cards to whatever you’d like. 9. Once your file is ready, save a PDF file of the Word document to have it printed. You can upload it to the printer’s website or put it on a jump drive, just like you do when you’re printing photos. 10. Print these cards on 11×17 inch card stock paper. Make sure they print it at 100% with no scaling. 11. Now cut out each card and fold them in half long ways. 12. 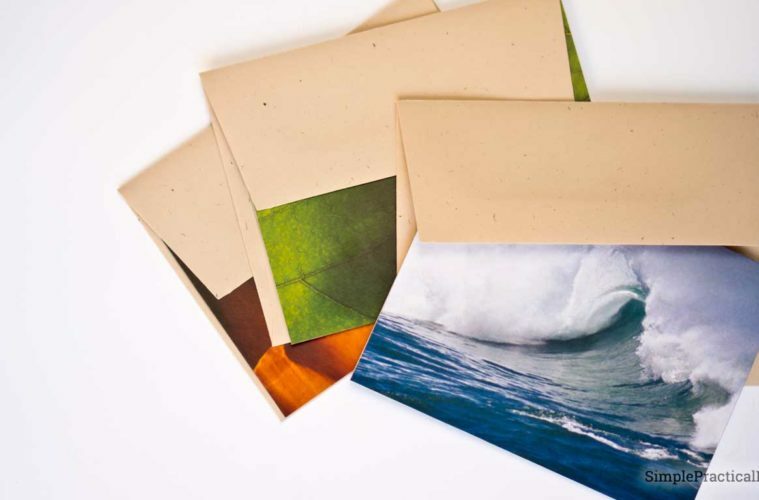 Write a personal note inside, and place your card in an A2 envelope ( 4 3/8 X 5 3/4 inches). A2 envelopes are the standard size envelope for note cards. 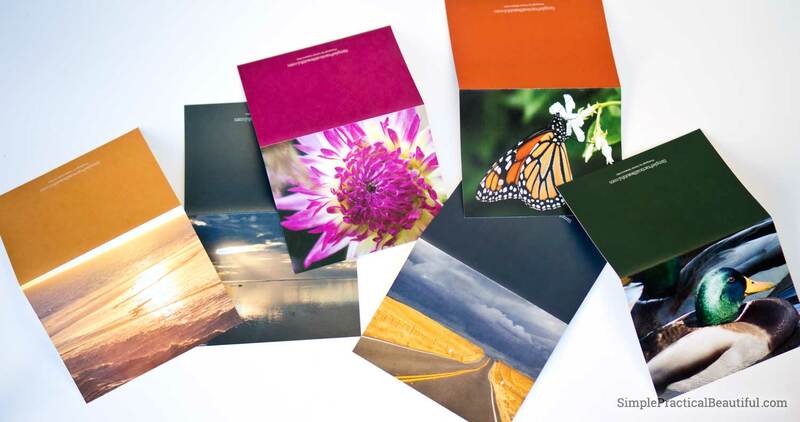 Here’s an example of some note cards we made with beautiful custom photography. In this digital age where so much is electronic, it’s nice to give someone a physical card with a handwritten note. And adding a personalized photo makes it even more special. It can become a cherished keepsake. 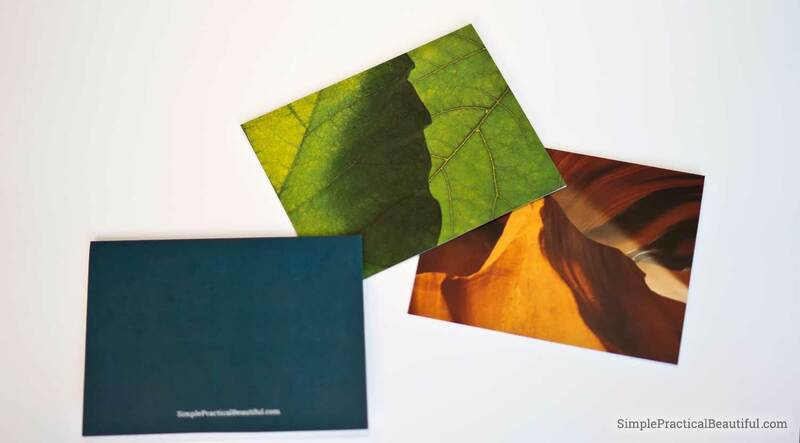 Win a Set of Note Cards! 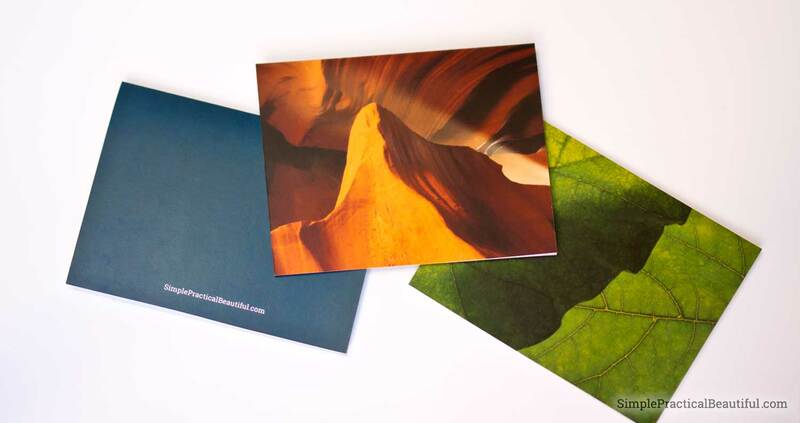 Just for fun, I’m going to give away the set of cards we made to photograph this post, that means two wave photo cards, two leaf photo cards, and two canyon photo cards. You will need to use your email or Facebook account to enter the giveaway, but I won’t keep any of that information. It’s just so I can notify the winner (who will need to give me their address so I can mail them the set of note cards). If you want extra chances to win, follow me on my different social media accounts and subscribe to my email newsletter. If your already following or signed up for the newsletter, click them so you get those extra chances too. The contest ends February 7 so I have time to get the note cards to the winner before Valentine’s Day. Subscribe to our email newsletter for lots of DIY ideas! These are truly the best-personalized note cards I’ve seen!! The photos are gorgeous and the idea is so great!! Plus they don’t seem difficult to make, thanks so much for the tutorial. Enjoy the weekend! Thank you, Pili! They are pretty simple to make once you have the template. And the photos we used are actually part of Microsoft Word. I love taking photos for my family and people outside my family. This would make a great gift! That’s a great idea. It would make a really nice personalized gift. P.S. As always, I’m in awe of you with your many talents and skills. You’re amazing, my friend! I would love to print these at home, but I’m unable to print on paper that large. Is there a smaller size template you offer that would work for 8.5×11? No, I don’t have a smaller size template, but you could create your own. Open the downloaded template and then create a new document that is letter-size. 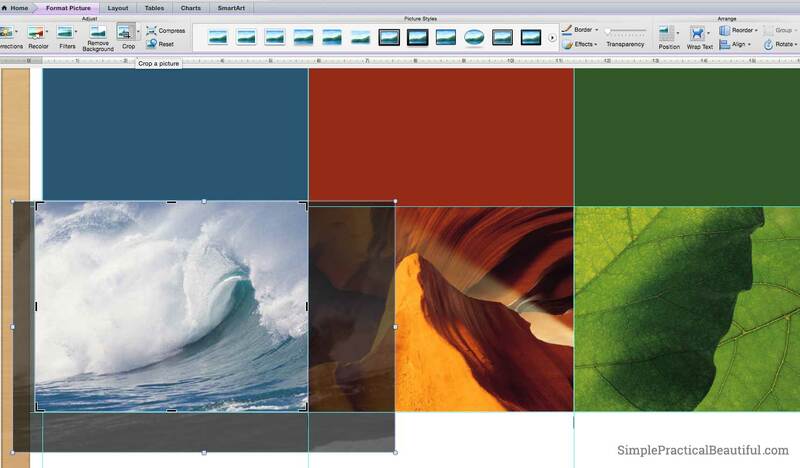 Copy and paste both the back of a card and the front of a card from the template onto your new document. Line up the front and the back in the center of the page. You will only be able to fit one card on an 8.5×11 paper. I hope that helps.